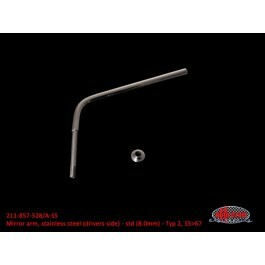 Single drivers side mirror arm in stainless steel for round mirror. Fits in cab door top hinge, standard 8mm pin size. 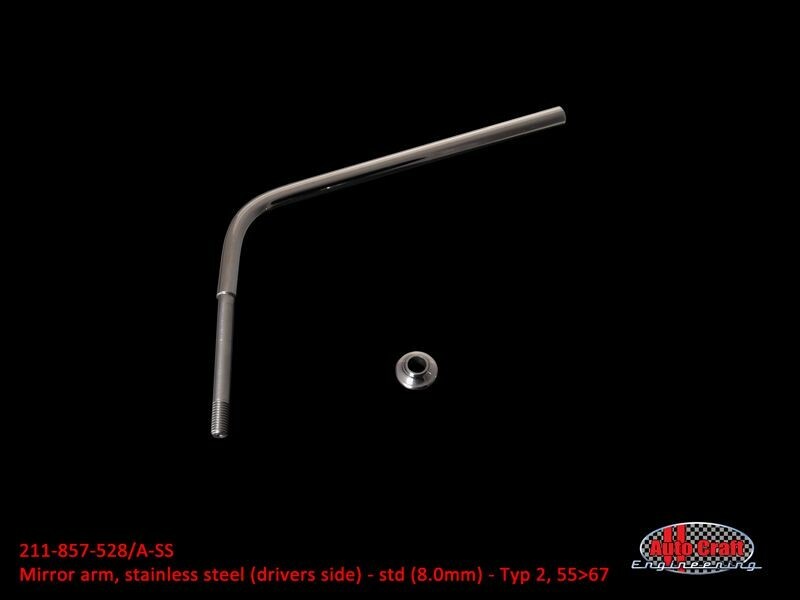 Also available in 8.5mm oversize. Supplied with stainless collar. Mirror, mirror clamp and fitting kit also available separately.